I am very pleased to formally publicly announce my latest webinar course, which will begin on Tuesday 14th August. 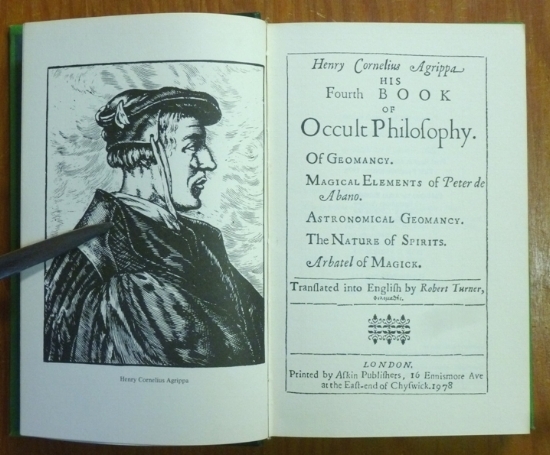 Following on from the success of our previous course on Reginald Scot's Discoverie of Witchcraft, I have once again teamed up with Wolf & Goat to bring forth a new installment of our Sourcebook Series: this time on the infamous Fourth Book of Occult Philosophy. Once more, we aim to explore and analyse a central text of early modern magical theory and practice, and this one is quite the text! For those unfamiliar, the Fourth Book of Occult Philosophy contains a great variety of explicit early modern material on the conjuration of spirits; offering instructions, practical considerations, and explanations for working with holy angels, planetary spirits and unclean devils. It even has a "spotter's guide" to the forms these spirits might take. It presents operations of necromancy, rituals and regulations for incubating oracular dreaming, and detailed instructions concerning how to make and use a 'Liber Spirituum' - a personal grimoire which acts as a repository of daemonic pacts and indeed a tool of office for exorcising and commanding spirits. One of the treatises included in the Fourth Book is the infamous that manual of planetary angel magic the Heptameron, which includes as especially unique system of working magic circles, such as this one above. Less an individual book than a collection of several concise occult treatises, theFourth Book concentrates on astrological magic, offering two complete systems of summoning and directing aerial spirits of the planets: the incredibly popular Heptameron, offering means of communing with the seven planetary archangels and the spirits that obey them; and the Arbatel, a handbook combining axioms concerning magical conduct and cosmology with instructions for working the so-called "Olympic" planetary spirits. Combined with its two short instructional texts on geomantic divination, it is clear why this book was so influential, infamous, and indispensable to early modern magical practitioners; that is, by both "low" folk magicians and cunning-folk as well as "high" ceremonially-minded magi. In this course, students will be led through this early modern "one-stop-shop" of a compilation-guide of useful magical texts. We will delve into the historical contexts of the component parts, examine the approaches to spirits and working them, and - crucially - assess how such material is still thoroughly relevant and helpful for modern magical practitioners. The sessions will be recorded and sent out to students to own and re-watch in perpetuity. I encourage attendance at the live webcasts to participate in discussion, but this is not required if you cannot make the sessions. For more information, and to book your place on this exploration of a foundational early modern magical collection before we kick off on Tuesday 14th August, follow this link. As always, I am available at consultantsorcerer@gmail.com to answer any questions.